It’s the season of leaps it seems! After Kumkum Bhagya, Ishq Subhan Allah is all set to take a leap. 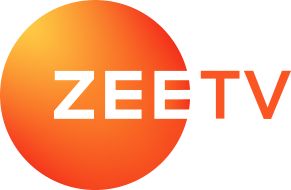 In the latest episodes of the Zee TV show, we saw that the protagonists Kabeer and Zara are staying apart. Our sources have now informed us that Kabeer and Zara are set for a divorce. The story shall move forward by one year and the couple shall go their separate ways. Zara asks for a Khula (a type of Muslim divorce) and Kabeer agrees to it. Although Zara is a bit skeptical whether she wants Kabeer to agree to their separation or not, looks like Kabeer has made up his mind. His sister-in-law Zeenat is excited about the split but Kabeer’s brother and mother make him reconsider his decision. However, Kabeer is only concerned about what Zara wants and since she has sent the notice. Do you think Kabeer and Zara should head for a divorce? Will the lovers ever reunite? Stay tuned to Ishq Subhan Allah to find out what happens next!